Golden Paradise – looking berry good! Pyracantha Golden Paradise is now showing its beautiful berries. Glossy orange berries are held along the stems where the white flowers were earlier in the year. Golden Paradise is later than most other varieties to produces its berries, so it is useful for extending the season after other varieties have finished. In a sheltered location, these berries will stay in place until Christmas, gradually becoming more red in colour. 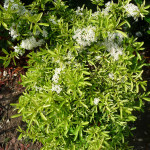 Pyracantha to be Plant Of The Month for October 2018! Growers and retailers need to be thinking ahead, as the Dutch Flower Council and Royal FloraHolland have just announced their Plants Of The Month for 2018. 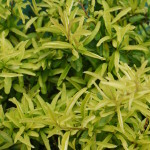 Their choice for Plant Of The Month for October 2018 is Pyracantha, so now is the time for growers to be ordering plugs and liners of the world’s only golden-foliage variety, Pyracantha Golden Paradise. Retailers should also plan ahead and place advance orders for finished plants now, so that growers can be sure to reserve stock for you! Check in for all the latest news! 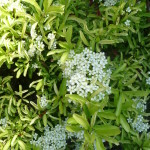 In spring and early summer, Golden Paradise produces handsome trusses of white flowers. Young plants of Golden Paradise growing at Seiont Nurseries, north Wales. 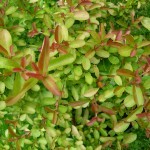 One of the original plants in the breeder’s garden – note the dense bushy growth and bright colour. In the autumn and winter, the tips of the growth turn coppery red, extending the season of interest. 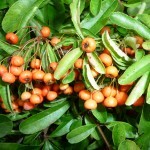 The fruit of Pyracantha Golden Paradise ripen to orange-red and eventually become deeper red in mid winter. 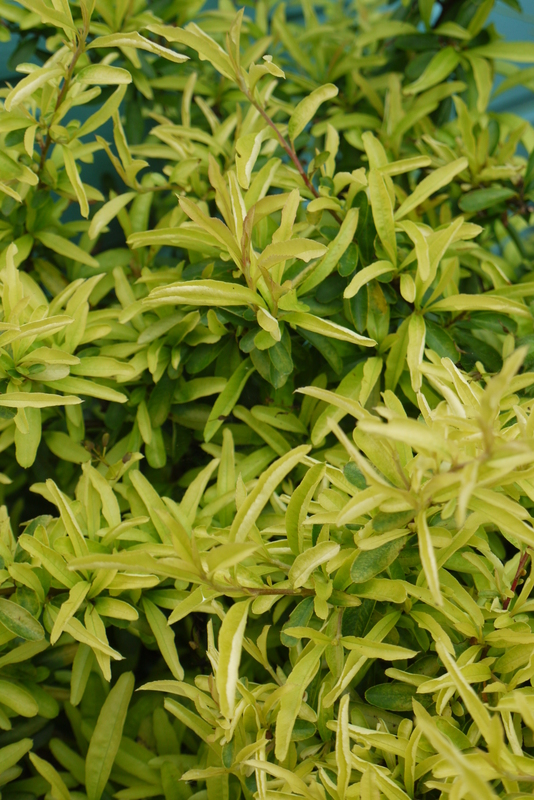 The brightest foliage colour is in the spring when the new leaves emerge – really golden! Growing in the breeder’s garden, in flower. 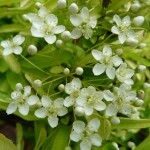 The flowers in spring and early summer are an added bonus and look great with the golden leaves. 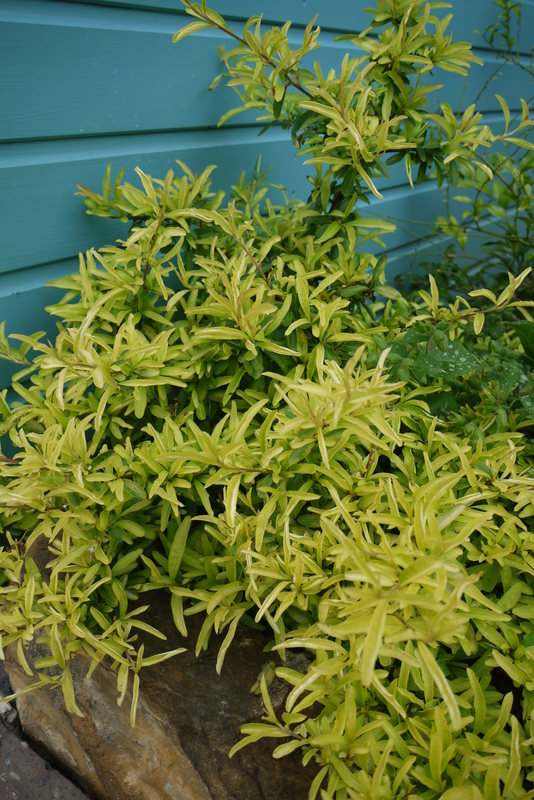 Pyracantha Golden Paradise against a blue wall – a great combination! 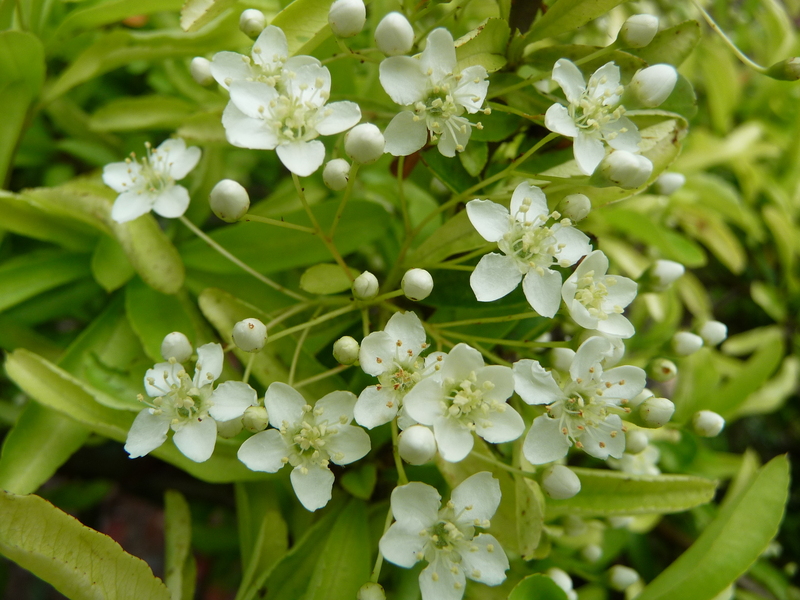 Pyracantha Golden Paradise will be launched at the Royal Horticultural Society’s Chelsea Flower Show 2015, which begins next week. 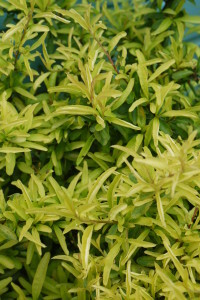 Bred by Andrew Parker, Golden Paradise is the world’s first golden-leaved firethorn. 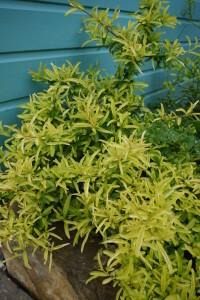 It has excellent golden yellow foliage, brightest in the spring and early summer when the new growth emerges, but holding its colour well into late summer. 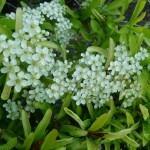 The plant produces a good display of clusters of white flowers in early to mid summer which are then followed by orange-red berries in late autumn, which become darker in colour as they mature. 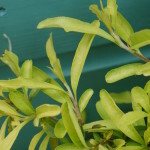 The growth tips also develop a bronze tint in autumn, extending the season of interest for this variety late into the year. 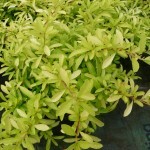 Andrew Parker, a specialist landscape contractor based in Essex, identified Golden Paradise in a batch of Pyracantha seedlings raised at his own small nursery. 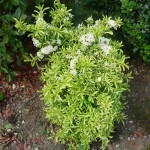 Andrew had never seen a golden-leaved Pyracantha before and knew at once that he had a special new plant. He grew the plant on and propagated young plants from it, and then sought advice from Graham Spencer of independent plant breeders’ agent, Plants For Europe Limited. 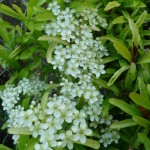 Graham worked with specialist shrub propagators to increase the plant so that there would be enough for launch and then approached Chelsea Gold Medal winner Rosy Hardy of Hardy’s Cottage Garden Plants to collaborate on the launch. Rosy is always looking for the best British-bred plants to include in her displays and was only too pleased to include Golden Paradise in her 2015 exhibit. 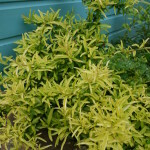 Golden Paradise is available at Hardy’s Cottage Garden Plants, either at their nursery in Hampshire or by mail order. 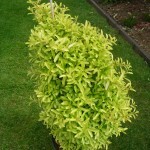 It is also available from Coblands Nurseries. 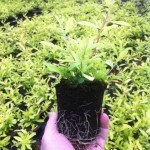 Other nurseries and garden centres will be stocking it in the future. Bred in England, Golden Paradise is the world’s first golden-leaved Firethorn. Check this website for the latest information on Golden Paradise, including where to buy it, where to plant it, how to care for it, plus launch information and much more.